Wearing an ugly Christmas sweater is a tradition that many people enjoy. 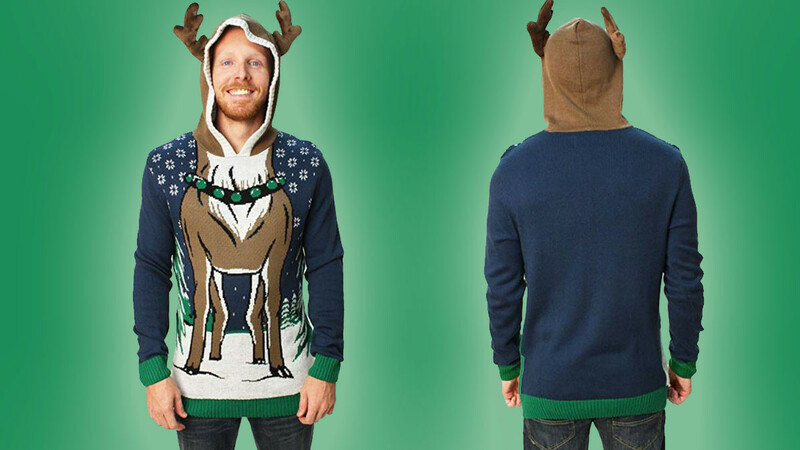 This fun sweater is designed to make you look like a reindeer. The sweater is made from a comfortable cotton blend fabric. It is available in a large range of different sizes. The sweater is machine washable so it will be easy for you to wash it and put it away for next year. On the front of the sweater, there is a body of a reindeer. The seater is cleverly designed so that your face looks like it is the face of the reindeer. There are antlers visible on the hood of the sweater.